For over a decade, Relish Distinctive Catering has been making sure receptions go down without a hitch, for those getting hitched. With an award-winning chef and a powerhouse event-planning duo, it’s no wonder so many recruit them to enhance the flavor of a special event. RiverTowne Country Club, with its palmetto trees and serene ambience, has been the locale of many a Relishrun wedding. 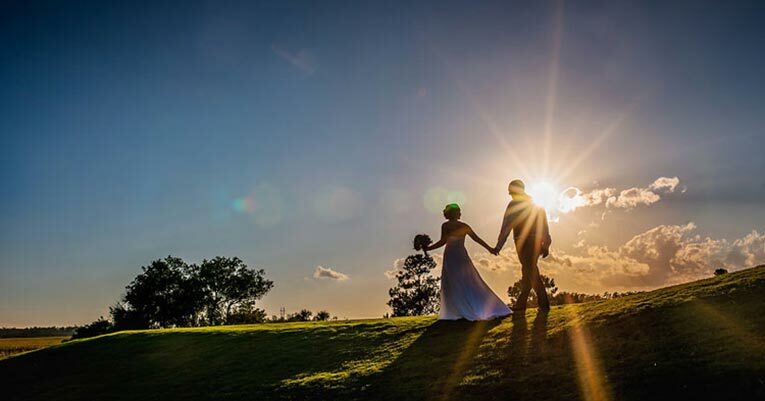 We uncovered just why so many are saying “I do” to this distinct venue and top-notch team. Set on over 200 acres, RiverTowne offers the ideal setting for those looking to book an elegant event space, minus the lofty price tag. The ballroom, with its panoramic windows and towering ceiling, is the perfect place to enjoy a slice of red velvet wedding cake and burn away the calories on the dance floor. From the traditional to the unconventional, Davidson and crew love bringing to life each client’s vision. This talented team is there to help you every step of the way, from a truly fabulous bridal luncheon to a show-stopping rehearsal dinner. With food that’s sure to be just as memorable and soulful as the vows, they craft wedding experiences that echo the individuals right down to the appetizers. Giving clients their undivided attention and plenty of options for a truly unique day is what Relish does best. Chef Sean Wren prepares Southern cuisine with a modern twist. From fried green tomatoes to pimento cheese dip, the hors d’oeuvres are sure to satisfy. They even offer carving, oyster and lettuce wrap stations for those looking to truly wow guests. With the Charleston area solidifying itself as one of the top wedding destinations in the country, Relish Distinctive Catering is always striving to exceed expectations and stay on top of the latest bridal and event offerings. Davidson and her skilled associates glean inspiration from the new trends that emerge within the industry and consistently find the Lowcountry to be a muse of sorts. Relish is there to wrap up loose ends for those ready to tie the knot. From the table settings to the bouquet toss, you can count on their expertise to make your big day that much bigger. 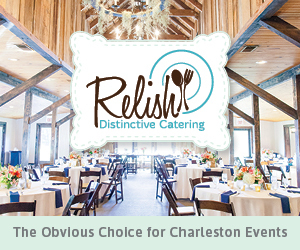 To learn more about Relish Distinctive Catering, visit www.relishdistinctivecatering.com or call 843-849-2400.